Tuesday, April 24th – Like all our member meetings at Velo Cult, the evening kicks off with a 6pm social hour, while the meeting itself runs from 7pm to 8pm. Come enjoy a drink — happy hour extends throughout for NWTA members — and share your two-wheeled passions. 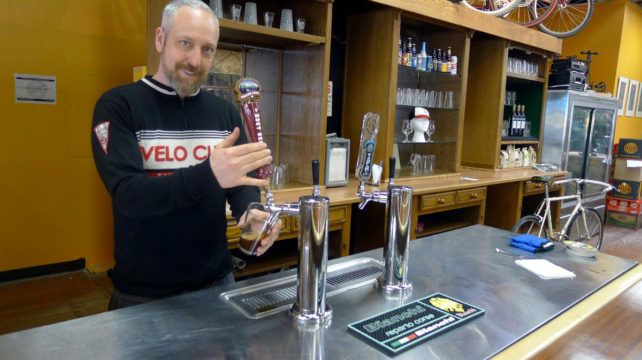 Take a moment to check out Velo Cult’s current taplist. At 7pm, we will kick off the meeting with an update on events and work parties for the spring and summer. We have some exciting news for you regarding member-favorite, StubFest as well as updates on what has been going on at Stub (the short answer is don’t worry we’ll be back out there digging soon!). We are also going to call on you, our members to help NWTA grow. Our board is going to be conducting some goal setting and strategic planning this spring and summer and we need to hear what members want to see going forward. Do you want more social rides? More races? More XC climbing trails? More DH trails at Sandy Ridge? More movie nights like we has this past week? Come ready to share what gets you motivated about mountain biking and what you’d like to see NWTA place a greater emphasis on. Bring your voice! Bring a friend!